Energy drinks were first sold in the United States in the ‘90s. Now, there are hundreds of options. Related products have been made, like energy shots, chews, and snacks. Energy product companies target kids and teens under the age of 18. College students also use a high amount of energy drinks. A lot of companies are known to give products to kids for free. Some drinks even taste like candy so kids like the taste. This makes them more common and attractive. However, energy drinks can cause harmful health issues. 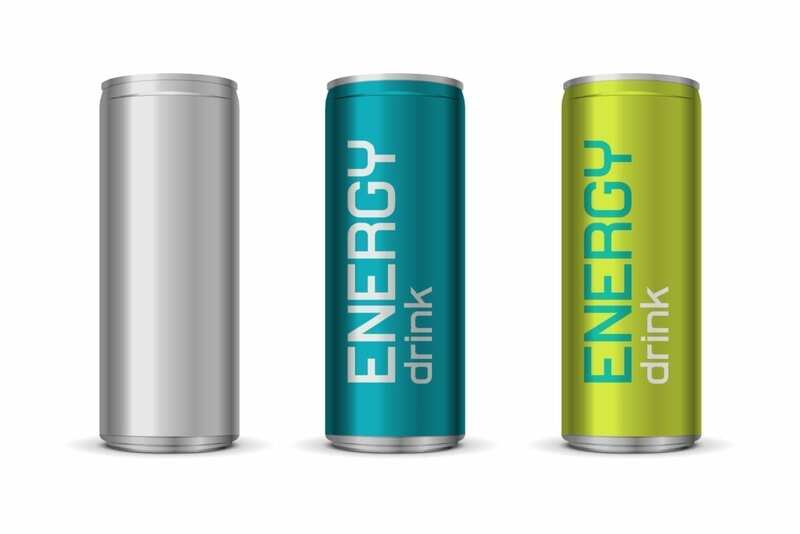 Energy drinks differ from soft drinks and sports drinks. Soft drinks have a lower amount of caffeine. They also contain sugar or fake sweeteners. Sports drinks can have vitamins, carbs, and sugar. You should drink them after an intense workout to restore your body. Guarana. An herb used to prevent tiredness and improve mental speed. It also is used to promote weight loss and increase sexual desire. Taurine. A supplement used to improve memory and endurance. Ginseng. An herb used to help reduce stress, strengthen muscles, and improve endurance. Synephrine (bitter orange). An herb used to promote weight loss. L-carnitine l-tartrate (LCLT). A supplement used to increase energy, memory, and speed. It also is used to break down fat. Yerba mate. An herb used to prevent tiredness and improve mood. Gingko. An herb used to increase focus and prevent tiredness. St. John’s Wort. An herb used to reduce stress and improve mood. These are not always harmful by themselves. When combined together with caffeine, they can cause health issues. A big problem with energy drinks is that there is little control from the U.S. Food and Drug Administration (FDA). This means that a lot of the ingredients have not been tested right. Also, there are no laws on the product labels. So drinks may not list the correct amount of caffeine. Soft drinks have about 30 milligrams (mg) of caffeine per serving. Coffee has about 100 mg of caffeine per cup. Energy drinks can have anywhere from 100 to 250 mg of caffeine per serving. Energy drink companies don’t help. Their advertising can be forceful and dishonest. Some ads promise that energy drinks make you popular. For instance, Red Bull says their drink “gives you wings.” Rockstar invites users to “party like a rockstar.” Amp suggests that it is “energy you need, flavors you crave.” These claims make energy drinks seem safe, stylish, and real. Headaches, stomachaches, or diarrhea. These could be caused by lack of water or poor diet. Dizzy or lack of focus. Energy drinks can be high in sugar and calories. These can lead to weight gain or diabetes. Heart problems. Many people report rapid heartbeat. Major use has been linked to uneven heartbeat or heart failure. Rare cases have been linked to death. Children tend to be more sensitive to caffeine. It can be harmful to their growth. People who have heart conditions or asthma also are at greater risk. The American Academy of Family Physicians (AAFP) states that the FDA should set guidelines. Labels should be standard and truthful. Products should be tested and controlled. AAFP also is against marketing and selling energy products to kids under 18 years old. Until this happens, there are cautions we can take. You should be aware of these risks and talk to your kids about them. Promote a healthy diet with regular sleep and exercise. People who do this should have enough natural energy. Having one energy drink now and then might be OK, but drinking them all the time could affect your health. Schools also can help fight the use of energy drinks. The Centers for Disease Control and Prevention (CDC) states that schools should offer healthy drinks only. Energy drinks should not be an option. The National Federation of State High School Associations (NFHS) also states that student athletes should not use energy drinks. They can make kids sick and unable to perform. Some ingredients in energy drinks can show up on drug tests. There is another dangerous trend with energy drinks. It has become “cool” and common to mix them with alcohol. Energy drinks can offset the effects of alcohol. It is known to make you tired and unfocused. Energy drinks are used to focus and stay awake. Mixing them can make you feel less drunk than you are. It also affects your ability to make good choices. The same is true if you mix energy drinks with illegal drugs or certain medicines. Talk to your doctor if your child has any health issues from consuming energy drinks. They will need to stop using them. They also may need treatment for their symptoms. How much caffeine can I have every day? How many energy drinks is too many?